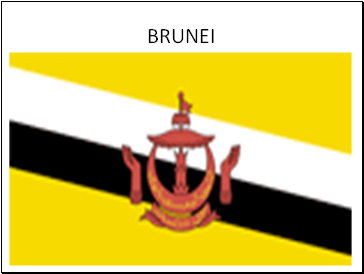 The coat of arms on the Brunei flag is a crescent (symbol of Islam) joined with a parasol (symbol of monarchy), with two gloves on both sides. 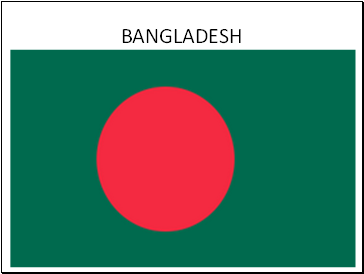 Below the crescent is a ribbon. 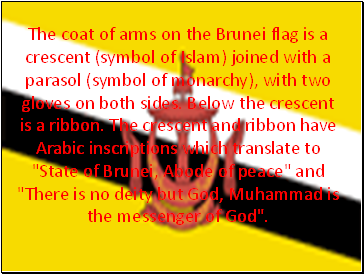 The crescent and ribbon have Arabic inscriptions which translate to "State of Brunei, Abode of peace" and "There is no deity but God, Muhammad is the messenger of God". 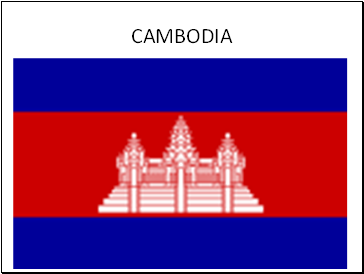 The blue color symbolizes the country's royalty. 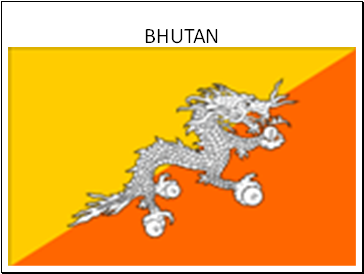 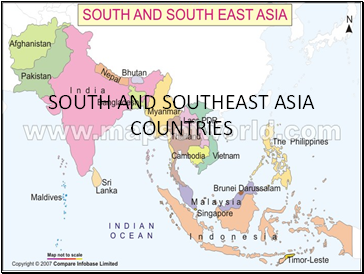 The red represents the nation and the white represents the religion, beginning with Brahmanism, and the current major religion - Buddhism. 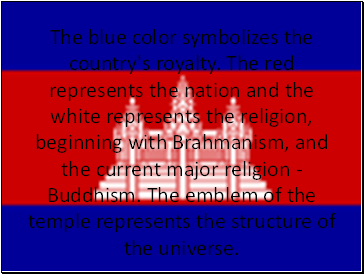 The emblem of the temple represents the structure of the universe. 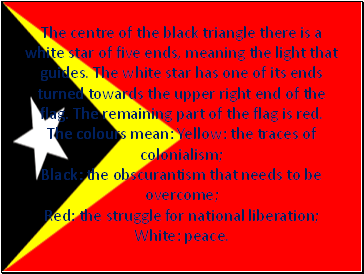 The centre of the black triangle there is a white star of five ends, meaning the light that guides. 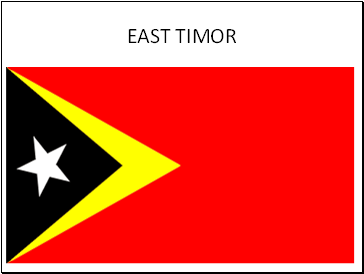 The white star has one of its ends turned towards the upper right end of the flag. 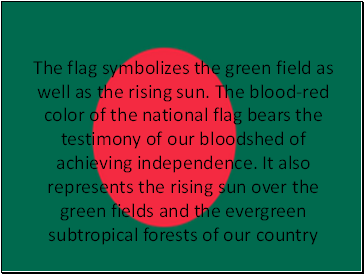 The remaining part of the flag is red. 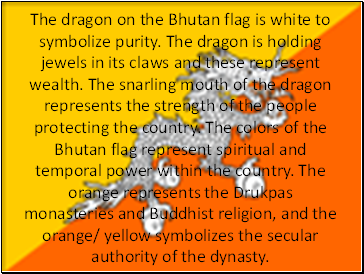 The colours mean: Yellow: the traces of colonialism; Black: the obscurantism that needs to be overcome; Red: the struggle for national liberation; White: peace.